Are you a Catholic who has been away? Are you seeking answers about returning to the Church? No matter how long you’ve been away, no matter what the reason, no matter what you have or have not done, please join us to get an update on the Catholic faith and to find a path “home”. You will find the door open and a warm welcome!! 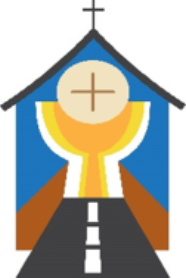 Catholics Returning Home is a program of informal conversations for those who are seeking answers to questions about returning to the Church after having been away. It is offered in a six-week series of small group discussions, or on a one-on-one basis. April 24 – Reconciliation – Why Bother? The order and nature of discussion topics may change to better suit the needs of a small group or an individual. Can’t wait until March?? We are available 24/7 for private meetings or small group discussions. Just click the link below to e-mail our ministry leader Michele Mills, or call the Parish Office at 330-867-1055. Michele was away from the church for many years and began this ministry at St. Hilary to make the journey home quicker and easier for others. “My ministry to non-practicing Catholics was born out of my own anger and pain. I know firsthand what it feels like to be angry and to feel separated from the Church because I was in that position for many years. I never imagined in my wildest dreams that I would ever return to the Catholic Church, much less actually end up leading a ministry to invite others back! “I looked at many other religions and at times considered myself a nondenominational Christian. Eventually I started reading the Bible and concentrated on the psalms and the gospels. Throughout this process, I felt a profound sense of conversion. I especially identified with the gospel outcasts with whom Jesus was fraternizing. The content of this program was great, well-organized and to the point. After wandering away from my faith in college, the pressures of building a career and raising a family just completely distracted me. When a major health challenge occurred, I started missing my faith, and attended Mass for the first time since college. Wow! There were so many changes—I didn’t know what to think. Through this program I received helpful information about how and why the Church has changed over the years. I enjoyed the casual, open environment, felt comfortable asking questions, and liked the fellowship of others who have “been there”. This was a great program! I drifted away from my faith during high school, so when I later married a protestant I just decided to go to their church. It was a friendly community but it didn’t really believe in the sacraments. Over time I missed the sacraments, but didn’t know if I would be welcomed back in the Catholic Church. I was so grateful to find the leaders of this program were welcoming and non-judgmental. Their fellowship and honesty, their compassion and openness to people’s needs made me feel completely comfortable. I really liked the times our group was joined by Fr. Steve. I didn’t expect the opportunity to talk to a priest in a small setting, and enjoyed the question/answer session. I realized I was operating with a lot misinformation since my divorce, thinking I was excommunicated and not welcome. Finding out this was not true and that I was welcome in church was life-changing. I really liked the informal gatherings and the opportunity for each person to share their story and to ask for thoughts from other participants and the group leaders. Being able to share where I am in my Catholic journey with others who were in my same situation, I realized I was not alone with my doubts or unsure feelings about the Church. The ministry team gave a lot of attention to answering my questions, and were very friendly and made me feel very welcome. Many thanks to the leaders for sharing your stories and your time! After years being away from the Catholic Church, exploring different denominations but finding that there was always something missing, I felt a longing for my Catholic faith. But I didn’t know how to begin the journey “home”. For me, the welcome was the best part of the sessions—being greeted at the door felt like an official “welcome back”. I finally feel free to journey “home” where I belong. All of my questions and concerns were answered–this program was more than I expected. I grew up Catholic before Vatican II, attended parochial school and high school. I was very devout even though the Church in those days was very stern, teaching the Baltimore Catechism more than the Gospel. It was all very prescriptive. Then as a young person I got mad at all religions—it seemed they did nothing but enable hypocrisy. But years later when my first marriage ended in divorce, I turned to the Bible and to Our Lady for consolation. My journey “home” was very long and difficult largely because there was so much misinformation around. When I finally started attending Mass again after many years, I was astounded by the changes: female lay ministers, inter-faith married couples, bible studies, social justice programs. It was a friendly, more “pastoral” place. Catholics Returning Home addressed not only “what” had changed, but “when” and “why”. When my marriage to my present husband was finally blessed in the Catholic Church, it was a profound experience. I am so happy to be “home”! Is this Catholics Returning Home the right fit for you? For more information or to speak with a ministry leader, please click on Contact Us to the right. All ministry leaders have journeyed “home” after long separations from the Church or periods of doubt about their faith.